At Blends For Friends, we can personally hand blend a truly individual gift of the finest teas and herbal ingredients for any gift occasion. With your help in providing character details of the recipient, Alex and the team can use his tea tasting and blending knowledge (plus a pinch of creativity) to blend a highly personalised custom gift with bespoke labelling and beautiful packaging for tea lovers worldwide. Each blend we create is completely unique, making this a truly one-of-a-kind gift, tailored to the recipient. Every new blend arrives in a decorative tin with a personalised blend label (referencing the character of the recipient), an information booklet and 125g of finest loose leaf tea or herbs (herbal infusions 100g) – all beautifully gift boxed with a hand-tied ribbon. The cost is £30 (not including postage). To reorder an existing blend please click the reorder form button to the left. Every blend reorder arrives in a resealable bag with the original personalised blend label attached. The cost for one reorder bag of 125g (herbal infusions 100g) is £10 (not including postage) or if you wish to purchase more, five reorder bags will cost just £35 (not including postage), and a 1kg reorder is £40 (not including postage). We can offer you the opportunity to have your very own blend of loose leaf tea and herbal ingredients created just for your special day, and delivered to your wedding anywhere in the world. We can create a blend based on the bride and groom’s character, or simply to represent the wedding day itself – to be given as a very personal, high quality and tasty wedding favour! 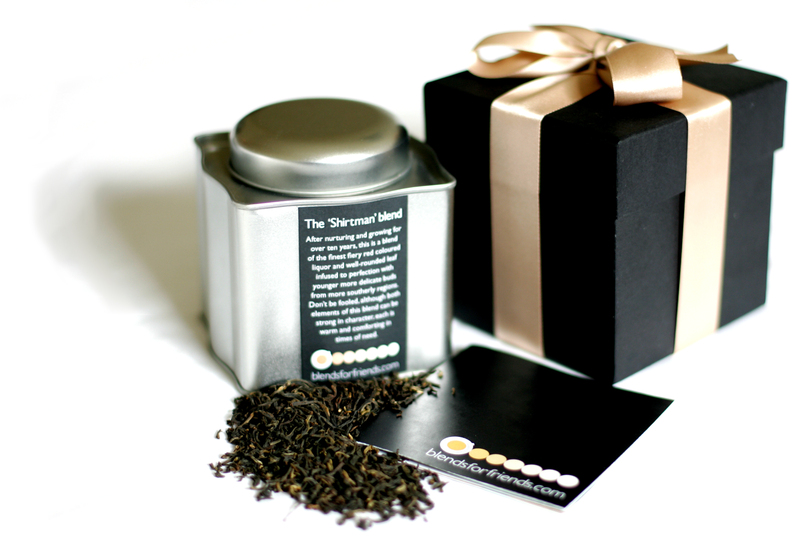 The wedding favour gift boxes hold about 25g of loose leaf tea/herbs (enough for 10-12 cups) with personalised blend labels – beautifully gift boxed with a hand tied gold satin ribbon (selected different ribbon colours available on request).